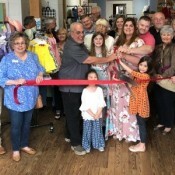 On April 9, 2019, WhimZ Boutique and Heart & Vine cut their ribbon at their new Business location, 56 River Street in Ellijay. 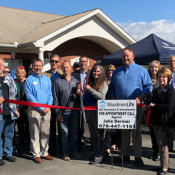 Julie Dermer, Woodment Life celebrates her Grand Opening with a Ribbon Cutting. 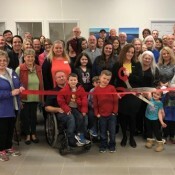 Preferred Travel celebrated their new business ownership with a Ribbon Cutting on March 19, 2019. 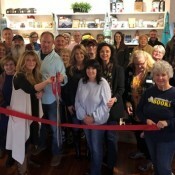 On March 8th Ukoala Bag, Inc. celebrated their new business with a Ribbon Cutting. 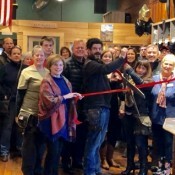 Live the Trail celebrated their new business with a Ribbon Cutting on March 8th. 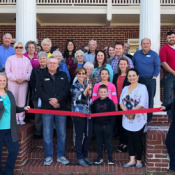 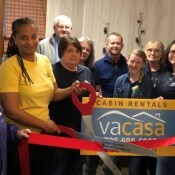 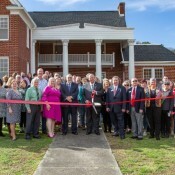 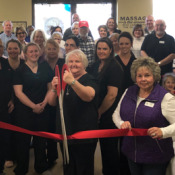 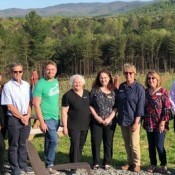 Vacasa celebrated with a Ribbon Cutting at their new location in Ellijay, GA.
Woodland Realty celebrates their new business location with a Ribbon Cutting. 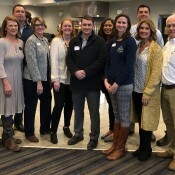 On Friday, February 8, 2019, the Chamber hosted Coffee and Conversations. 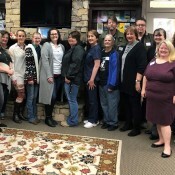 On February 4, 2018, your Gilmer Chamber President & CEO, Paige Green and Tourism Manager, Karla Roper represented Gilmer County at the annual Tourism, Hospitality & Arts Day at the Capitol. 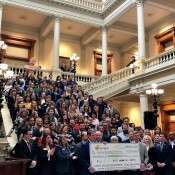 On this day, Governor Brian P. Kemp was joined by Georgia tourism industry professionals from across the state for the annual Tourism, Hospitality & Arts Day at the Capitol to recognize the importance of the tourism industry in Georgia. 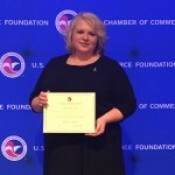 Paige Green, President/CEO of the Gilmer Chamber will be a class advisor at the June 2019 U.S. Chamber of Commerce Institute for Organization Management.